You rely on “Joe,” your handy office supply account manager from a vendor you trust, who knows what paper you use, your favorite pen, and more. But a moving company or office relocation could mean that you and Joe with the Everybody’s Favorite Paper Co. vendor may need to spend some time apart. Finding a new vendor for your office supplies and office products may seem simple—paper is paper, right? 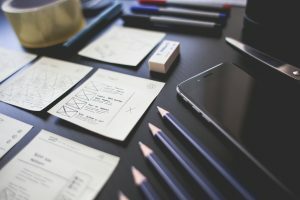 Like any relocating company, there are a few things you should always remember when choosing a vendor. The first thing you should do before even approaching an office supplies vendor is take an inventory on what is used on a daily basis. Don’t just write pens and paper. There is a reason Staples has an entire wall of paper—there are ton of different types. Find out what you use and what stock it is. If some forms have to be done on cardstock, copier paper will not do. Find out specifically what pens people use. If the CEO likes some specific medium felt tip pen, he’s not settling for a ballpoint Bic, so make sure that the vendor you choose can provide that medium felt tip pen. 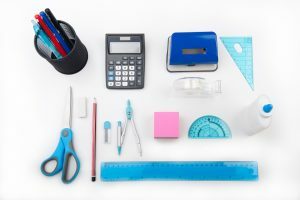 After your itemized list of office supplies has been compiled, go through the bills and find out what everything costs and list them for quick comparison. An electronic spreadsheet may be the best way to organize things. Create columns for each new vendor in order to compare and contrast prices. Then, consider the size of your moving company. Chain office supplies vendors like Staples and Office Depot offer convenient brick-and-mortar stores along with online and phone orders. For smaller companies, these types of vendors work well. Large office supply vendors like Staples provide rewards cards that rack up points and coupons in store so if you have to pick up any last minute items in-store, you still win. Larger companies can take bids and let Staples, WB Mason, and other distributors fight for your business. If you have 100 or more employees you will need more supplies than will fit in the trunk of your car, so get a vendor. This checklist tells you step-by-step what to consider for your office products. Get Your Free Office Product Checklist! 1. How much does the vendor charge for delivery? Is there a certain dollar amount you have to meet before it is free? 2. What is the turnaround on orders? Does it get shipped out from the vendor the minute I place the order or the next day? 3. Can the vendor drop off anywhere in the building or does the front desk always have to carry everything back to the supply closet? 4. How are returns or damaged items handled by different vendors? 5. Is it easy to recycle ink and toner cartridges? Do you have to pay to ship them back to the vendor? You know to check if the vendor has all the day-to-day stuff, but also make sure that your vendor has the not-so-day-to-day like your laser printer cartridges. Remember fax machines? They are still kicking, and if your office has an older model (just in case), it may be a little harder to find the toner for it. Keep in mind that cheapest isn’t always the best. If office supplies vendors are trying to push a lower quality item, make sure you like using it before committing to generic office supplies just to save a few cents. Make sure your vendor can provide the right service, convenience, quality, and price. If it makes your job easier, it’s priceless. So is always getting your favorite pen.